Our society has a growing need for vocationally trained engineers who not only possess traditional domain knowledge and skills, but are also able to take care of variation, uncertainty and risks in their daily jobs. The current project aims to use Virtual Reality (VR) technology to bring realistic working situations to the classroom, helping students to experience the full complexity of work situations and train their situational awareness. In this three-year project you will develop a training for secondary vocational engineering education (MBO) in the field of road construction. This training includes the use of VR. You will design the VR training yourself, but the actual building of the software will be outsourced. In addition, you will develop debriefing strategies and dedicated instruments that help students, teachers, and researchers to assess and monitor the results of the training. Designing and developing (in close cooperation with teachers) the training contents and procedures, materials, and (research) instruments. Implementing the training in real school contexts. Performing quasi-experimental studies in which you measure the learning effects of the training and of the debriefings. Coordinating and carrying out data collection in schools and handling communication with participants. Working in close collaboration with teachers, practitioners in industry, researchers, the advisory board, and other members of the consortium. Presenting findings for a scientific and a non-scientific audience. Reporting findings in peer-reviewed scientific journals and research reports. You will be member in the project’s core team together with a teacher design team. Researchers from Educational Science (dr. Bas Kollöffel); Research Methodology, Measurement and Data Analysis (prof. dr. ir. Bernard Veldkamp); and Construction Management & Engineering (dr. ir. Faridaddin Vahdatikhaki) will be part of the team. Furthermore, an advisory board is in place with representatives from education, science, and industry. The project is funded by the Netherlands Initiative for Education Research (NRO). are willing and have confirmed ability to work independently, but also to collaborate with the other project members. a copy of your PhD-thesis or, if not yet available, an outline and summary of your thesis and one of your scientific papers. 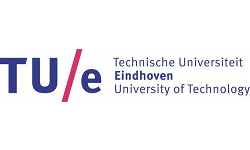 You can upload your application via www.utwente.nl/vacatures/en (click twice to find vacancy). Since only three documents can be uploaded per application, please combine documents if needed. The application deadline is October 15th, 2018. Interviews will be held in October/November 2018. Additional information and the project description can be obtained via dr. Bas Kollöffel (b.j.kolloffel utwente.nl / 053-4891066). A three-year full-time postdoc position (1.0 FTE), starting December 1st, 2018 (preferred). 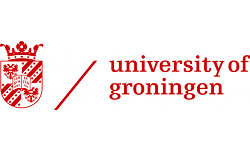 The gross salary is in accordance with the Collective Labour Agreement for Dutch Universities (CAO NU) € 2.640,- to €4852,- per month, depending on experience. On top of this, you receive a holiday allowance of 8% of the gross annual salary and an 8.3% end-of-year bonus. We offer excellent auxiliary terms of employment, such as professional and personal development programs; a secondary remuneration package; a dynamic environment with enthusiastic colleagues; and an organization focusing on internationalization and a high degree of responsibility and independence.